Need a quick way to entice someone to join your email list or register for your website? Give away something for free. One of the best ways to build your list of subscribers is to offer something of value up front related to the value of your offering. 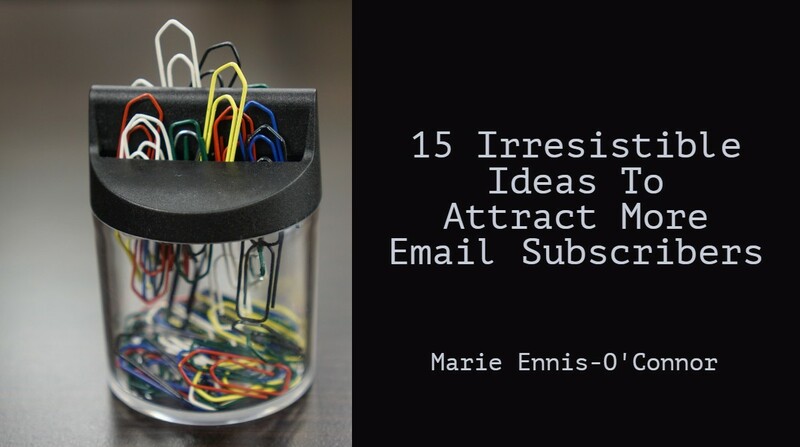 This email incentive known as an opt-in offer or a lead magnet is something you are willing to give away for free which requires people to provide an email address to download. As with everything in content creation, you need to keep your ideal customer in mind when you are planning your opt-in offer — what would be most useful to them to earn you trust and credibility? A lead magnet should be something relevant to your core business offering and of high value to your ideal customer. It should demonstrate your expertise in solving a real problem for your customer in an instantly accessible way. If your lead magnet doesn’t help them achieve a solution quickly and easily then it won’t convert. Start by brainstorming ideas you can create quickly and test out. To get you started, I’ve put together the following list of 15 ideas. 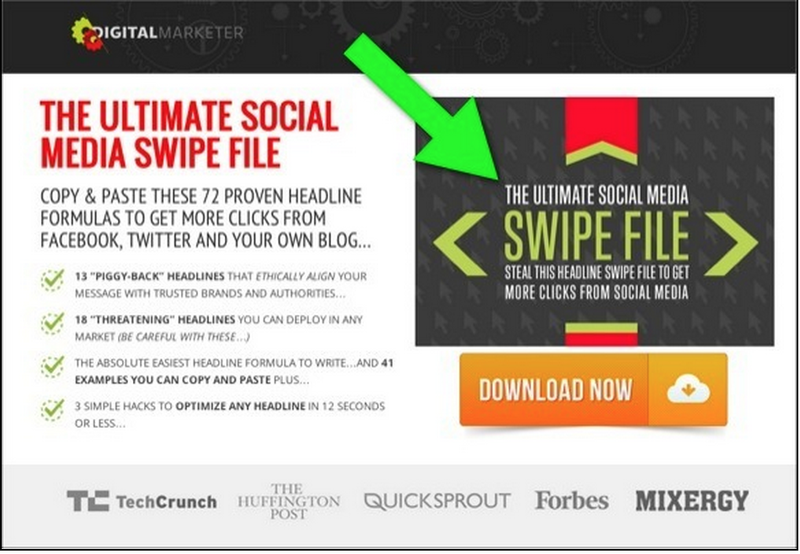 The simplest and fastest way to create a lead magnet is to create a downloadable pdf of your latest article or blog. Check out Canva’s guide here. Offer your readers the option of downloading an audio version of your content. Pro Tip: To create an audio file, you can use a free service like Audacity. Create a mini-course or video series that provides a solution to one of your customer’s main problems. If you want to stay off camera, you can do video tutorials with screencasts. A webinar is an effective way to establish your thought leadership in your industry. Live webinars are frequently offered as on-demand webinars once they’ve ended, and these make for effective lead magnets also. Quizzes, such as personality tests, are a super interactive way to engage people. Once a person has taken a quiz, they hand over their email address to receive their results. Promote an online contest like a free giveaway, and have entrants sign up or submit using their email address. E-books are a popular type of offer used to generate leads and gain credibility. However, they do require an investment of your time to create so be sure you are writing on a topic that will provide value for your audience. A white paper is a short report or guide that is used to help readers better understand a certain topic. While e-books are informal, whitepapers are more authoritative and detailed. They’re structured to present a problem, and then provide a solution to it. With an email series, a subscriber opts into a finite multi-part series of emails. This is different from an email subscription which is ongoing. A template can be anything that provides an outline so all the user has to do is fill in the blanks. Is there a shortcut or “cheat” you can give your audience? People love when you share a fast way to do something. Checklists convert the best out of all lead magnets because they are so easily consumed. They condense everything that the user needs to know into one, actionable list. If you’ve got a collection of practical resources in your content archive (like cheat sheets, checklists, videos, or e-books) you can package them together into one useful toolkit for your audience. Conduct a survey among your subscribers, customers, and industry professionals. Then, share the results in the form of a downloadable report, study, or infographic. Have you written a book? Use a chapter as your lead magnet to help pre-sell the entire book. Further Reading: For a mega-list of 69 lead magnet ideas click here. Keep testing different ideas until you find the one people love to download. Once you’ve created your lead magnet, you will want to promote it. Click here for a list of ideas to help you do this.